The last 20 years has seen an explosion in the autographed memorabilia market. With it has also come an increase in the number of forgeries in the market. What is a collector to do? The best way to protect oneself is to be there personally when their items are signed. Unfortunately, for a majority of people, this is not an option. Most collectors need to purchase their memorabilia, but with the large number of sports memorabilia dealers and the wide range of prices, this can be a challenge for even the most knowledgeable collector. One rule of thumb to follow, if the price seems too good to be true, it probably is. Another rule to follow is to not just expect, but demand a Certificate of Authenticity. However, in some cases, this will not protect you if given by a non-reputable source. Midlands Framing and Memorabilia is a family run business. The business grew from a small autograph collecting hobby to what is today – a provider of authentic hand signed sports memorabilia in the UK. 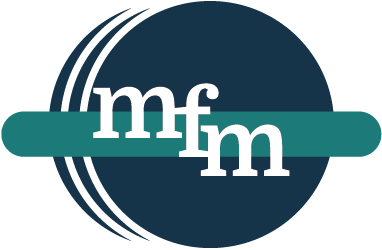 MFM is a supplier of exclusive and unique memorabilia. With MFM’s Certificate of Authenticity (COA) you can shop with confidence and know you are getting the highest quality autographed sports memorabilia there is. 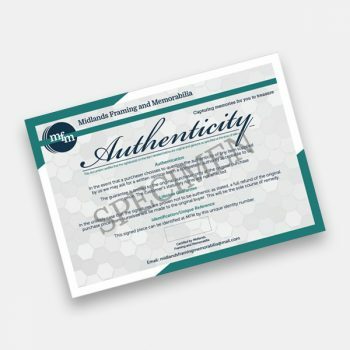 MFM ensures that each signature is original and verifiable. Any item we cannot verify we will not sell. If you want to know more, or have any questions, please don’t hesitate to contact us.